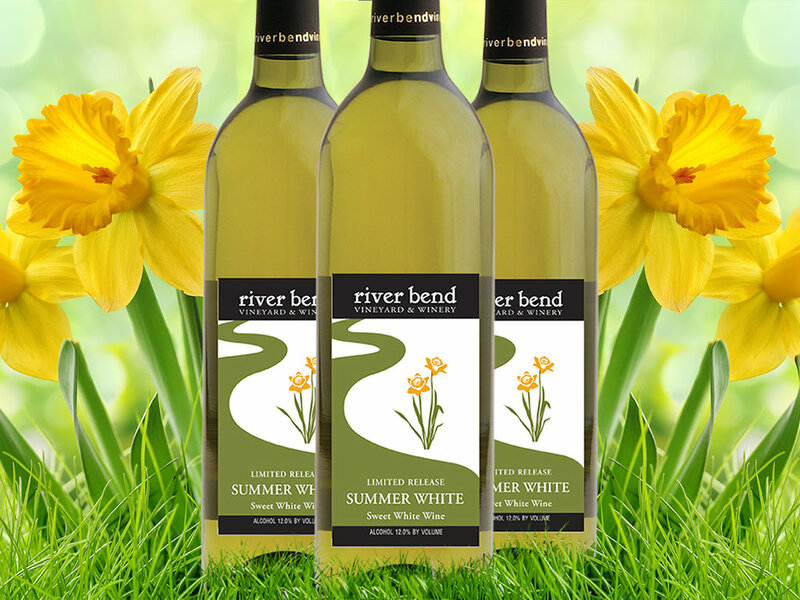 Each year on the first official weekend of summer, we release a wine called Summer White. But we begin thinking about Summer White almost a year ahead of time when we are prepping to pick the grape Brianna. When harvested at the right time, Brianna has a lovely tropical aroma and flavor reminiscent of fresh pineapple. To retain this fresh pineapple characteristic, Brianna must be picked with low sugar and a pH below 3.2. Because it will hit these marks by early September, Brianna is always the first grape off the vine here at River Bend. The Brianna grape was developed by a man named Elmer Swenson. Starting in 1943, decades before the University of Minnesota's fruit breeding program would release it's first grape variety, Elmer Swenson was busy breeding grapes at his farm in Osceola, Wisconsin. He began by crossing French hybrid grapes with selections of Vitis Riparia which were grapes native to Wisconsin. His hope was to generate seedlings capable of producing high quality fruit in a northern climate, something few if any cultivars could do consistently at the time. Beginning in 1969, Swenson took a job caring for fruit crops at the University of Minnesota. He conducted some of his work there, but the bulk of his breeding program remained at his farm in Osceola. His first two hybrids were Swenson Red and Edelweiss. Many more would follow including the wine grape Brianna. When we first planted Brianna, we were a bit skeptical of its hardiness. We had heard it was not as cold hardy as U of M varieites Frontenac and Frontenac Gris, which thankfully has turned out not to be the case. We have 300 vines that are in their tenth year, and they have reliably produced a crop every year since we allowed them to set fruit. They are somewhat disease prone...which we learned the hard way a few years ago...but once you know what they demand, you have won most of the battle. Going into late summer, Brianna likes a lot of heat and not much rain, which is typical of August in our neck of the woods. We will begin testing sugar and pH in a few weeks with a plan to harvest in early September. This year's crop is heavier than usual, and the fruit is beautiful. With a little luck, we'll have an outstanding Summer White release coming in June of 2019.